The Autism Cares Foundation (ACF) was founded by the parents of a child with autism and other concerned parents, professionals and friends. The foundation was started as a means of helping others through the “puzzle” that is autism. At virtually every level, there are “twists and turns” in one’s attempt to reach the answers that many parents are seeking. As the founders discovered with their own child, answers are few, frustrations are many, and there are few places to turn to for answers. Autism Cares Foundation provides up to 150 free events, programs and services each year to children, teens and young adults on the autism spectrum. As of 2015, ACF has reached over 800 families in the tristate area. It is the intention of the Autism Cares Foundation to assist in “unwinding” the twists and turns associated with navigating the system surrounding autism. The Autism Cares Foundation differentiates itself from other organizations raising funds for autism, as our funds provide direct benefit to the children and young adults afflicted with autism, helping to improve their life experiences today. Talk About Curing Autism (TACA) is a national non-profit 501(c)(3) organization dedicated to educating, empowering and supporting families affected by autism. For families who have just received the autism diagnosis, TACA aims to speed up the cycle time from the autism diagnosis to effective treatments. TACA helps to strengthen the autism community by connecting families and the professionals who can help them, allowing them to share stories and information to help improve the quality of life for people with autism. TACA believes in early diagnosis, intensive therapies and medical intervention for children affected by autism. With early intervention, medical treatment unique to each person’s needs and necessary support services for families many children can improve greatly and some can recover from their autistic symptoms. We believe the future is not defined for many children affected by autism. Hope and recovery is possible. Is a private, non-profit organization that provides shared ride transportation services for all Bucks County residents. Residents can take part in our Senior Citizen Shared Ride Program, Medical Assistance Transportation Program, Persons with Disabilities Transportation Program, Doylestown Dart, or Bucks County Courthouse Shuttle. We’re here to help you get where you need to go! Is a 501(c)(3) founded in 2015 in order to provide the funds needed for Veterans suffering with invisible wounds to receive beneficial treatments like that of Hyperbaric Oxygen Therapy (HBOT). The Founder, Gunnery Sergeant Chuck Rotenberry, is the reason he and his wife founded the non-profit following his injury in Afghanistan in March 2011. They had the chance to start fundraising for his treatments, in which he benefited from remarkably. They felt so blessed to be able to carry on the mission of helping others. 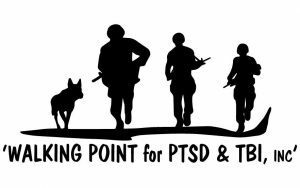 Walking Point will raise awareness about Hyperbaric Oxygen Treatments which serve as a crucial ingredient to the recovery of so many of our Nation’s Heroes. Post Traumatic Stress and Traumatic Brain Injuries each separately have such severe symptoms, but the two combined create “the perfect storm” of symptoms and struggles. We are dedicated to raising awareness to a national level, the countless benefits of these treatments must be available to all of our Military returning home with these injuries who served our country so bravely. There is an immediate need for HBOT, there are an estimated 22+ Military/Veteran members who take their life each day…this is even just 1 too many who could have been saved if given the opportunity for HBOT along with counseling and support.